The first things I remember reading at the age of eight were little pocket handbooks on classic subjects of ghosts, UFO stories and strange creatures. I remember reading these books over and over marveling at the pictures of fantastic hairy beast like the Bigfoot and bug-eyed aliens that spirited people away in the dead of night. psychic education started, coupled with encouragement from my mother who was at this time a training psychic, clairvoyant, medium & healer at the local Spiritualist Church in Bath. interests and always had my enquiring young minds questions answered properly, unlike so many of you out there who are not so lucky.At the age of sixteen I both started to get serious into my UFO research and classical psychic training and enrolled into a psychic development course that would last nearly three years and cover all aspects of psychic from clairvoyance, telepathy, auras, mediumistic skills, channeling and all forms of divination form sand reading to Tarot.During this time my UFO studies continued and with my voracious appetite I consumed hundreds of UFO books and amassed a collection of thousands of UFO videos and clips from the late 1940’s to present day. I currently have thousands of FOIA (freedcom of information act) documents detailing the worlds governments encounters with UFO's. In 1995 I joined an amazing home circle group and coincidentally (if you believe in coincidences) I also trained in the CRV (CIA/Military version) form of remote viewing - trained by an American visiting London. Remote viewing blew my mind and this was the tool that I had been looking for for my entire life. A set of methods to increase and keep the accuracy of psychic information relevant, clean and verifiable and without the spiritual fluff.I feel these remote viewing methods which I then taught to some of the participants in the home circle group allowed us to expand how we worked and helped us create the technique that allowed us to psychic travel better in the home cirel group. This is what I wnat to share with you - my experiences and a few techniwuees on how you can do the same. All things alien& UFO - with millions of visitors a year. 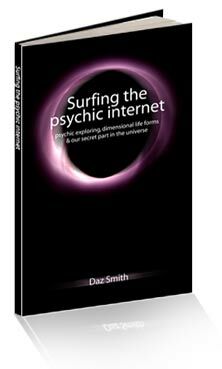 Remote viewing examples, how to guides and files and much more - if you want to see psi in action look here! Everyone needs an outlet and here mine! This is where I talk about my ideas, psychic news & theories, articles, and stuff. Come along to any of these places and say Hi or email me if you have any questions.